The British government has begun gathering a list of Saudi officials who could potentially come under sanctions over the disappearance of dissident Saudi journalist Jamal Khashoggi, UK media reports. The list being drawn up by the Foreign and Commonwealth Office could be used in case the UK decides to invoke the “Magnitsky amendment,” passed this year, a source close to both Riyadh and London told The Independent. The so-called Magnitsky amendment allows Britain to impose sanctions on foreign officials accused of human rights violations, or to apply restrictions on Saudi trade and travel in coordination with the European Union. UK Foreign Secretary Jeremy Hunt also warned Thursday that Saudi Arabia would face “serious consequences” if suspicions of Khashoggi’s murder turned out to be true. 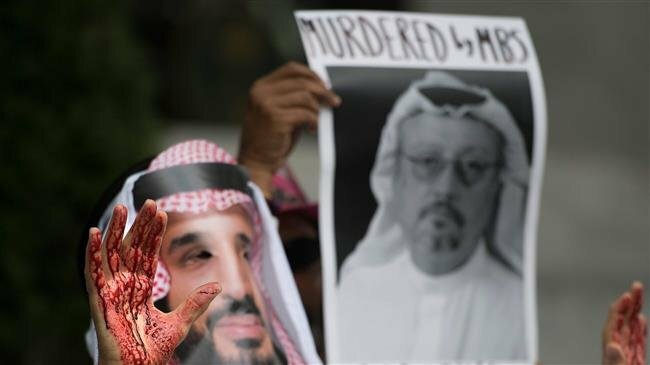 News of growing international pressure on Saudi Arabia over the missing journalist came as The Washington Post newspaper reported Thursday that Turkish officials had shared audio and video recordings with their US counterparts suggesting Khashoggi was tortured and murdered inside the Saudi consulate in Istanbul during an October 2 visit. The Post, where Khashoggi had worked since last year, said the recordings detailed how Khashoggi was tortured, killed, and dismembered by a Saudi Arabian security team. It is widely believed that Khashoggi was assassinated by Saudi operatives and his dismembered body was flown from Turkey to Saudi Arabia in two jets. Riyadh denies being behind Khashoggi’s disappearance, but it has so far failed to provide any evidence. US President Donald Trump indicated Thursday that his administration was investigating Khashoggi's disappearance. The European Union’s foreign policy chief, Federica Mogherini, said Tuesday that the bloc expected a full investigation from Saudi authorities over the disappearance.